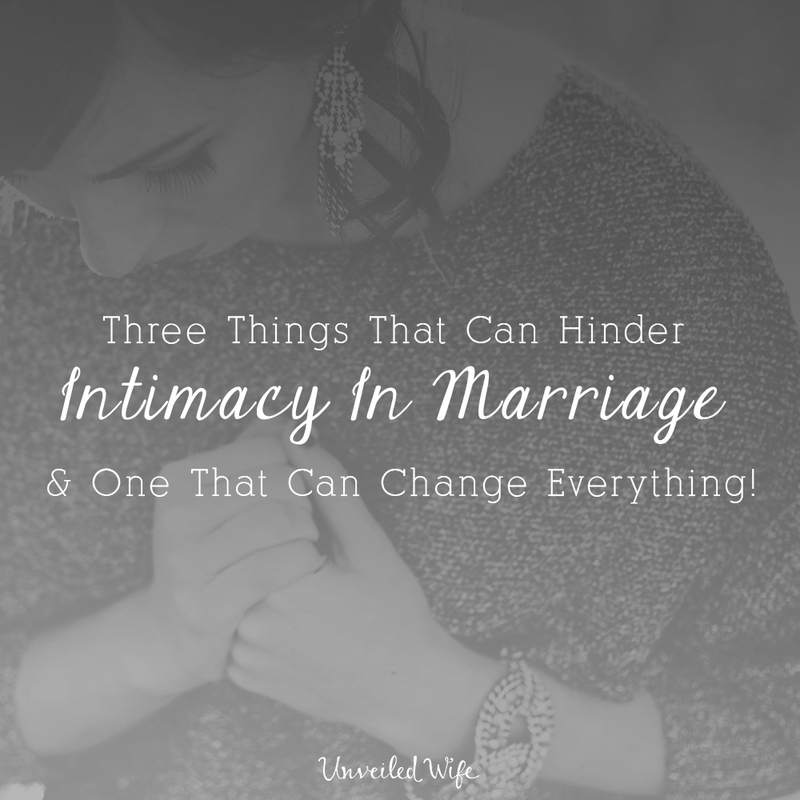 3 Things That Can Hinder Intimacy & 1 That Can Change Everything! The first few years of my marriage were tough. I had to learn and adjust to a whole new lifestyle as I lived with my new husband. I thought that our marriage would unfold naturally and perfectly. I was convinced that our love for each other would be strong enough to get us through anything. By our third wedding anniversary we were both contemplating a way out of our marriage. It was during this time of crisis that God revealed to me my need for Him. As conflict and stress rose up in our marriage, I turned away from God in anger. I couldn’t comprehend why He wouldn’t make things good in my marriage. That is when God got a hold of my heart and showed me a much bigger picture! The conflict was used to help me become who I am today. God changed my heart and my marriage completely when I submitted to Him. I was transformed and I continue to be transformed every day that I yield my heart to God. During our fourth year of marriage God showed me three things that were hindering intimacy in marriage. The one thing that changed everything was God! He helped me see the truth that He is the only One who could ever fulfill me completely. I was putting so much pressure on my husband to meet all my expectations, to heal my brokenness from sin, and to comfort me through insecurities. When my husband failed to do these things, he failed me, or so I thought. It was difficult to embrace intimacy with my husband when I felt like he failed me. That pressure was removed when I accepted God as my everything. When I let God fulfill as only He can, my life and marriage were transformed! These three things: unmet expectations, imperfections, and insecurities are the three themes I cover throughout my book The Unveiled Wife. In my book I go deeper into describing what these things look like in my behavior and how I was responding to my husband because of them. I also share how God changed these areas of my life. You can grab a copy of my book HERE.